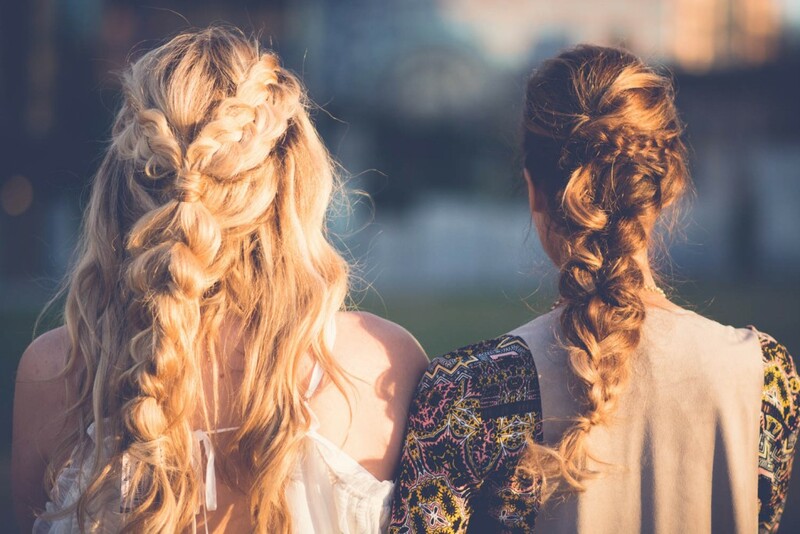 Spring is right around the corner and the Boho trend is still going strong and it’s only going to keep growing with fun outdoor music festivals, like Coachella, coming up! From flowy, floral dresses to fun rompers to fringe to embellishments galore, this trend is oh-so-fun! 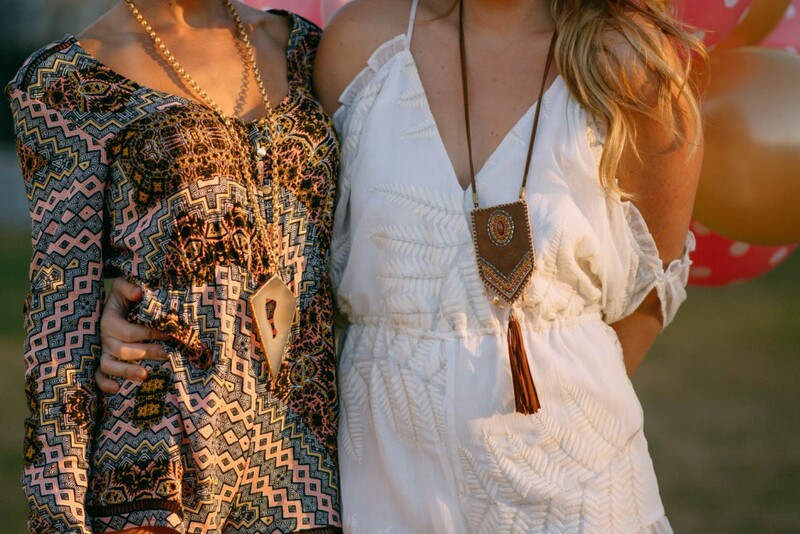 Our looks feature rompers, vests and huge fabulous necklaces from local Charlotte boutique, KK Bloom! 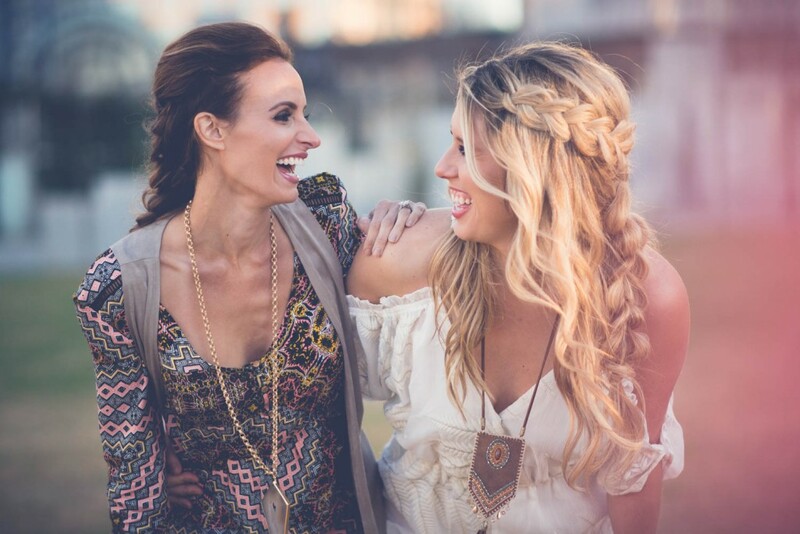 My look is a gorgeous romper from Mink Pink topped with a fringe vest that is so versatile! The necklace is by Knot & Bow Designs and is such a statement piece! I’m obsessed with it! Paired like shown or with a plain tee, this bumps up any outfit to the next level. Ok you all, let’s talk about my shoes because they are seriously my newest obsession and I wear them every chance I get! They are by Joie and are not only stylish but I find them to be a very comfortable heel. I think of them as the gladiator sandal for girls who want a little extra height. The color goes with absolutely everything: rompers (obviously), high/low dresses, mini or midi skirts. I mean, seriously, these shoes go with so much!! 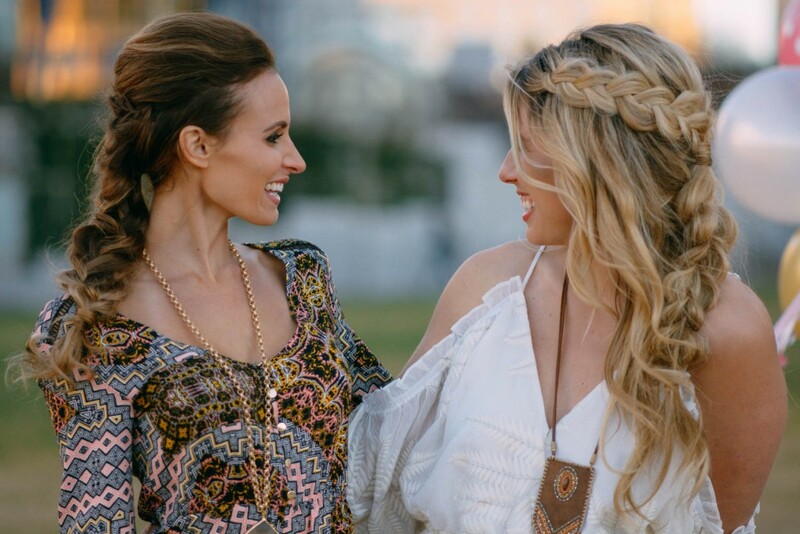 Whitney’s outfit is a Boho goddess creation from Lovers + Friends. The gorgeous fabric and ruffle detailing on this feminine romper look stunning on her! Whitney paired her look with this statement vest also from KK Bloom. The ombré fur is ah-mazing! Her cute gladiators are from Charlotte Russe…so fabulous and affordable! We would like to thank KK Bloom so much for letting us shoot in these amazing pieces. You can find them on Instagram @kkbloomboutique or give them a call at (704) 919-1142.